What Theresa May Forgot: North Korea Used British Technology to Build Its Nuclear Bombs? When Theresa May proclaims in Parliament that we need the £200 billion Trident nuclear missile system to see off the North Korean nuclear threat, writes David Lowry, just bear this in mind. It is a threat that the UK, global nuclear proliferator in chief, created in the first place, providing both the reactor technology and vital centrifuge materials to make North Korea’s nuclear dream come true. The reactors at Calder Hall on the Sellafield site, then called Windscale, were opened by the young Queen Elizabeth in 1956. But it was never meant as a commercial civilian nuclear plant: the real purpose was to make plutonium for nuclear bombs. North Korean nuclear reactor construction under way on 24th April 2008. Photo: Wapster / Google Maps via Flickr (CC BY). It reminded me of the similarly ill-informed former Prime Minister Tony Blair, in his speeches to MPs trying to win them over with dodgy ‘advice’ from British intelligence, to go to war by invading Iraq in 2003. MPs have short memories, despite the Chilcot Report on the Iraq invasion disaster not yet two weeks old, and 472 motley MP fools backed May and Trident replacement. As with the Iraq invasion, MPs will in future have to admit their regrets at being fooled. And again, they ignord the thousands of demonstrators outside, calling for Trident to be abandoned. But May was right in one way. North Korea has developed nuclear weapons. But what she did not say was they did it with copied British bomb-making technology. We do not know whether North Korea has drawn on plans of British reactors in the production of its own reactors. North Korea possesses a graphite moderated reactor which, while much smaller, has generic similarities to the reactors operated by British Nuclear Fuels plc. However, design information of these British reactors is not classified and has appeared in technical journals. The uranium enrichment programmes of both North Korea and Iran also have a UK connection. The blueprints of this type of plant were stolen by Pakistani scientist, A Q Khan, from the URENCO enrichment plant in The Netherlands in the early 1970s. This plant was – and remains – one-third owned by the UK government. 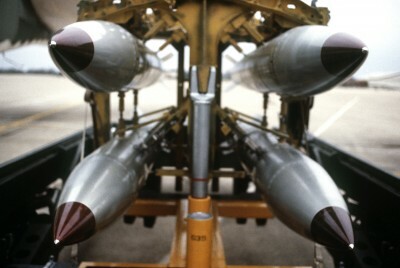 The Pakistan government subsequently sold the technology to Iran, who later exchanged it for North Korean Nodong missiles. A technical delegation from the A Q Khan Research Labs visited North Korea in the summer of 1996. The secret enrichment plant was said to be based in caves near Kumch’ang-ni, 100 miles north of the capital, Pyonyang, where US satellite photos showed tunnel entrances being built. Magnox is a now obsolete type of nuclear power plant ( except in North Korea) which was designed by the UK Atomic Energy Authority (UKAEA) in the early 1950s, and was exported to Italy and Japan The name ‘magnox’ comes from the alloy used to clad the fuel rods inside the reactor. The reactors at Calder Hall on the Sellafield site – then called Windscale, and operated by the UKAEA – were opened by the young Queen Elizabeth on 17th October 1956. But it was never meant as a commercial civilian nuclear plant: the real purpose was to make plutonium for nuclear bombs. A small 5 MWe experimental reactor at Yongbyon, operated from 1986 to 1994, and restarted in 2003. Plutonium from this reactor’s spent fuel has been used in the North Korea nuclear weapons program. A 50 MWe reactor, also at Yongbyon, whose construction commenced in 1985 but was never finished in accord with the 1994 US-North Korea Agreed Framework. A 200 MWe reactor at Taechon, construction of which also halted in 1994. The pre-eminence of Juche, the political thesis of Kim Il Sung, stresses independence from great powers, a strong military posture, and reliance on national resources. Faced with an impoverished economy, political isolation from the world, and rich uranium deposits, nuclear power-both civilian as well as military-fulfills all three purposes. History and hindsight have shown a consistency in North Korea’s efforts to develop its own nuclear capability. One of the first steps North Korea took was to assemble a strong national cadre of nuclear technicians and scientists. In 1955, North Korea established itsAtomic Energy Research Institute. In 1959, it signed an agreement with the Soviet Union to train North Korean personnel in nuclear related disciplines. The Soviets also helped the North Koreans establish a nuclear research center and built a 2 MW IRT nuclear research reactor at Yongbyon, which began operation in 1969. Throughout the 1970s, North Korea continued to develop its nuclear capabilities, pursuing a dual track approach that was consistent with the idea of nuclear self-reliance. While engaging in discussions to obtain Light Water Reactors (LWRs) from the Soviet Union, North Korea proceeded with parallel studies on graphite moderated gas cooled reactors, using publicly available information based on the Magnox reactor design. North Korea also carried out plutonium separation experiments at its Isotope Production Laboratory (IPL), and successfully separated plutonium in the same decade. The North Koreans worked on the design of a reprocessing plant for which, the chemical process was modeled after the Eurochemic plant. Eurochemic was a research plant dedicated to the reprocessing of spent nuclear fuel. It was owned by thirteen countries which shared and widely published technologies developed. The plant, located in Dessel, Belgium, operated from 1966 to 1974. When negotiations to acquire four LWRs from the Soviet Union failed, North Korea had already embarked on its indigenous nuclear program. Throughout the 1980s, North Korea constructed a 5 MWe reactor, fuel fabrication plant, and a reprocessing plant at Yongbyon, with no known documented external help and with minimal foreign equipment procured. When the joint statement on the Denuclearization of the Korean Peninsula was concluded in December 1991, all three facilities had been fully operational for a number of years, with two additional (50 MWe and 200 MWe) graphite moderated gas cooled reactors under construction. Why enrich the people when you can enrich uranium? North Korea’s closed society and isolationist position has made it immensely difficult to accurately gauge its nuclear activities. Pyongyang has gone to great lengths to hide much of its nuclear program, including its enrichment route. Nevertheless, there have been indications, including procurement related evidence, that point in the direction that North Korea has been actively pursuing enrichment since the mid-1990s, with likely exploratory attempts made up to a decade earlier. It is clear that North Korea received a key boost in its uranium enrichment capability from Pakistan through the A Q Khan network. Deliveries of P-1 and P-2 centrifuges, special oils, and other equipment from Pakistan to North Korea in the late 1990s were acknowledged by former Pakistani President General P. Musharraf in his memoirs, In the Line of Fire. President Musharraf also wrote that, separately, North Korean engineers were provided training at A Q Khan’s Research Laboratories in Kahuta under the auspices of a government-to-government deal on missile technology that had been established in 1994. In all likelihood, North Korea also received the blue prints for centrifuges and other related process equipment from the Khan network during that period of time. In the late 1980s, North Korea acquired vacuum equipment from a German company. While such equipment was primarily meant for North Korea’s fuel fabrication plant then under construction, some of the vacuum pumps could have been used for enrichment experiments. But additional attempts made in 2002 to again acquire vacuum technology after the completion of the fuel fabrication plant strongly pointed to its use for enrichment purposes. Evidence of North Korea’s procurement activities in the late 1990s to the early 2000s showed its objective to achieve industrial or semi-industrial scale enrichment capacity, based on a more efficient Pakistani P-2 centrifuge design. In 1997, an attempt was made to acquire large amounts of maraging steel suitable for manufacturing centrifuges. In 2002 / 2003, North Korea successfully procured large quantities of high strength aluminium from Russia and the United Kingdom, another requirement in making centrifuges. A simple tally of the amounts and types of equipment and material sought by North Korea suggests plans to develop a 5,000-centrifuge strong enrichment capacity. This appears consistent with a separate earlier enrichment offer A Q Khan had made to Libya. For North Korea to have embarked on procuring equipment and materials meant for a (semi-)industrial scale enrichment facility, it is highly likely that the known Uranium Enrichment Workshop (UEW) at Yongbyon, which in reality approximates a full sized facility, is not the only one that exists. More workshops would have been needed to serve as test beds for pilot cascades of P-1 and P-2 centrifuges prior to (semi-)industrial scale enrichment operations. While we have signs of North Korea’s enrichment goals, the final picture remains unclear given that the actual amount of items procured remains unknown. This problem is compounded by the fact that the North Koreans have and are continuing to source nuclear material and equipment from several parties. Moreover, there remains a high degree of uncertainty concerning the level of North Korea’s enrichment technology development. In April 2009, after expelling IAEA inspectors, North Korea publicly announced for the first time that it was proceeding with its own enrichment program. To reinforce its intentions, North Korea followed up with a letter to the UN Security Council on September 3 to confirm that it was embarking on an enrichment phase. On March 22, 2011, North Korea’s official news agency, KCNA, portrayed Libya’s decision to give up its nuclear weapons as a mistake that opened the country to NATO intervention following its domestic Arab Spring uprising. Such conclusions drawn by North Korea make an already difficult case to engage North Korea to give up its nuclear weapon deterrence that much harder. At the same time, the alternative of disengagement will in all likelihood bring about greater problems. In engaging North Korea, several key hurdles have to be tackled. First, North Korea shows a poor proliferation record. It was the suspected supply source of uranium hexafluoride (UF6) to Libya via the A Q Khan network – the uranium gas used in centrifuges to separate out the fissionable 235U needed in nuclear bombs from non-fissionable 238U. 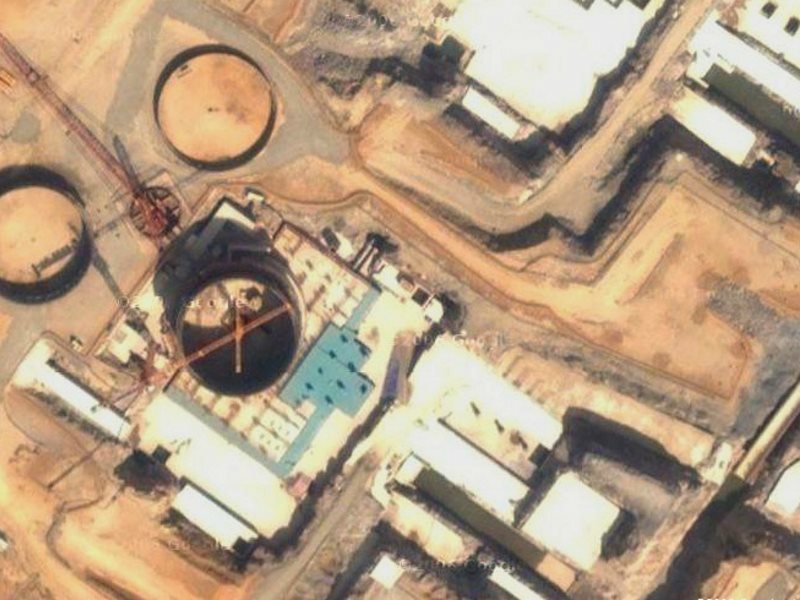 There is also mounting evidence that North Korea was involved in the construction of a secret nuclear reactor at Dair Alzour in Syria that was subsequently destroyed in 2007. It is plausible that North Korean personnel assisted Syria in building the reactor. (‘North Korea’s Nuclear Enrichment: Capabilities and Consequences‘, 38 North.org; 22 June 2011). This sorry tale has several important lessons for us today. First – and this must never be forgotten – the UK’s early ‘atoms for peace’ nuclear power programme was specifically designed and intended to produce plutonium for nuclear bombs. And it was not just nuclear waste from Calder Hall that went for plutonium extraction at Windscale, but from other sites that were meant to be purely civilian such as Hinkley Point. The UK is therefore guilty of ‘breaking the rules’ that are meant to separate civil and military nuclear activities, and its complaints of other states doing the same all carry the unmistakeable whiff of ripest humbug. Second, for all its public position of seeking to restrain nuclear proliferation, the UK is actually one of the world’s most egregious nuclear proliferators: providing arch-nuclear enemy North Korea with both the Magnox technology it has used to produce plutonium for atom bombs; and the high strength aluminium it has used for its uranium centrifuges. So when Theresa May stands up in Parliament and proclaims that we need the Trident nuclear missile system to see off the North Korean nuclear threat, remember: it is a threat that the UK created in the first place, providing both the nuclear reactor technology and the centrifuge materials to make it happen. And when the UK cites the nuclear threat from North Korea as a reason to spend an estimated £200 billion on the next generation of Trident, we can be sure that North Korea and other countries aspiring to their own nuclear weapons are applying precisely the same logic to the British nuclear threat. And that considering the UK’s history of aggressive regime-changing interventions in Iraq and Libya, the hundreds of (up to 225) nuclear warheads in its possession, and its ability to target them accurately anywhere in the world, North Korea’s fears are probably a great deal better founded than Mrs May’s. Dr David Lowry is senior research fellow at the Institute for Resource and Security Studies, Cambridge, Massachusetts, USA.